Homemade Coconut Cream Pie, a classy southern pie for years. It is made with a homemade rich and creamy filling, covered with pillows of whipped cream and sprinkled with sweetened coconut. Easter just screams Homemade Coconut Cream Pie, and I mean homemade from start to finish. This recipe comes from my Mother, who was the Queen of pie making in our family. She could whip out pies of every kind in little of no time. Her secret was to have plenty of pie crust made up, and in the freezer. When she was ready to make cream pies, all she had to do, was pull one or two out of the freezer and pop them in the oven. While they were baking, she would go ahead and start making the filling. She would use a certain pot every time and stand at the stove just stirring away because you couldn't walk away while making the pie filling. Making homemade pie filling is intimidating to some people. They just don't know when it is ready. Here is a little secret my Mother gave me, and it works every time. After the filling has cooked awhile, take the spoon that you are stirring with, scoop some filling up with it. Then turn the spoon over and run your finger down the backside of the spoon really fast (be careful the filling is hot). If the filling leaves a stripe, then it is ready to take off the stove. If the filling runs together, cook it some more and try the stripe again. For some time now, I have used a different method of cooking my pie filling, in fact, it is the only way I make my cream pie fillings. Get ready----with the Microwave! 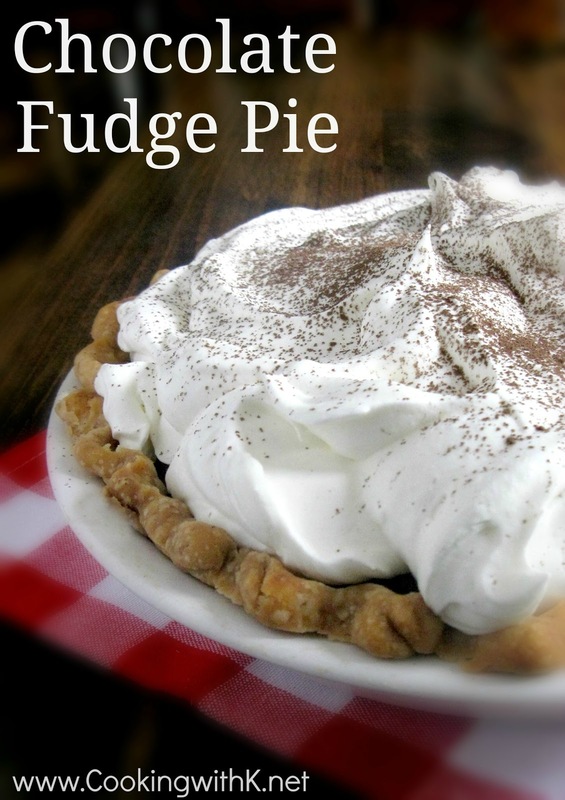 I use the method my daughter, Jennifer makes her Signature Chocolate Cream Pie. You combine all the ingredients in a large microwavable dish (I use my large batter bowl from Pampered Chef). Cook on high for 2 minutes and take it out and stir with a wire whisk. 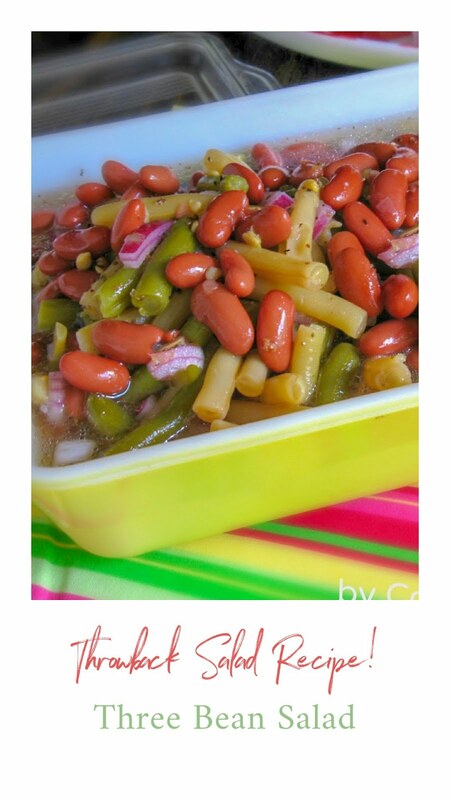 Place back in the microwave and cook 2 more minutes and stir, repeating at 2-minute intervals. It takes about 6 to 8 minutes to make the filling---how easy is that? Then I add my butter and flavorings, and I am ready to pour into the cooled pie shell. The pie fillings always turn out perfectly smooth and creamy. Give it a try, and you are going to love the new way you can make cream pies from now on! 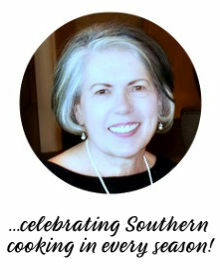 I use this recipe to make the filling for my Punch Bowl Cake. Mix egg yolks and milk with wire whisk until blended. Mix dry ingredients and add to milk-egg mixture. Cook in microwave on Full Power 6-8 minutes stirring well with the wire whisk at 2 minute intervals until thickened. Add butter, vanilla, and coconut stirring well. Pour pie filling immediately in baked pie crust. 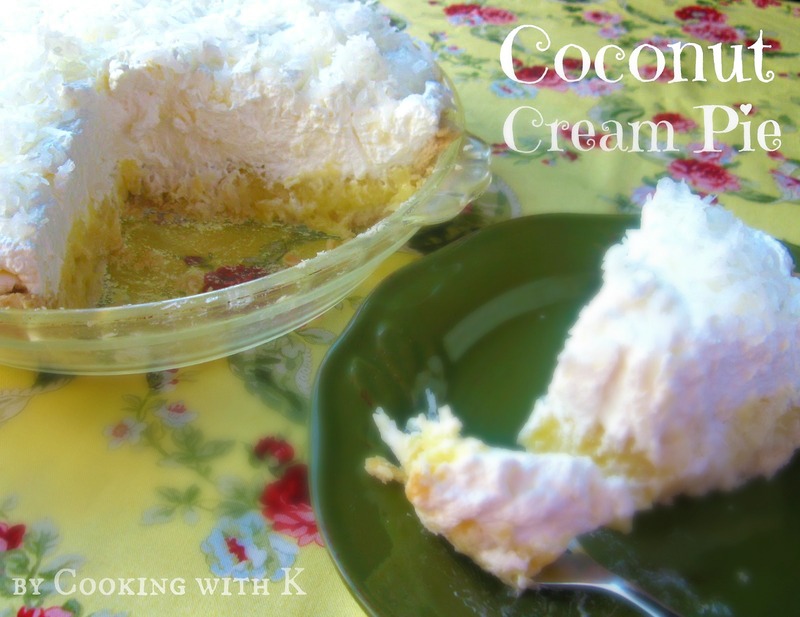 Cool to room temperature and refrigerate 1 hour before topping with sweetened whipped cream and sprinkle coconut. Whip cream on medium-high speed using a hand-held or stand mixer until almost stiff. Add confectioners' sugar and vanilla and whip until stiff. Note: Blind baked crust is a pie crust that has been gently pricked with a fork around the sides of the pie crust to keep it from shrinking. You can also place a sheet of waxed paper in the pie crust and pour pinto bean on it and bake them right in there to keep the pie crust from shrinking. More Pies Like This One! Sorry there is not ready made pie crust available where you are...you can make your own and blind bake the crust. And when it is cooled just pour the filling in and refrigerate. The microwave is how I make my custard for banana pudding, so easy! The coconut pie looks so fantastic! Will be making soon for hubby. Thanks for sharing. This would be great for Easter! Pinned it! Coconut is my favorite! 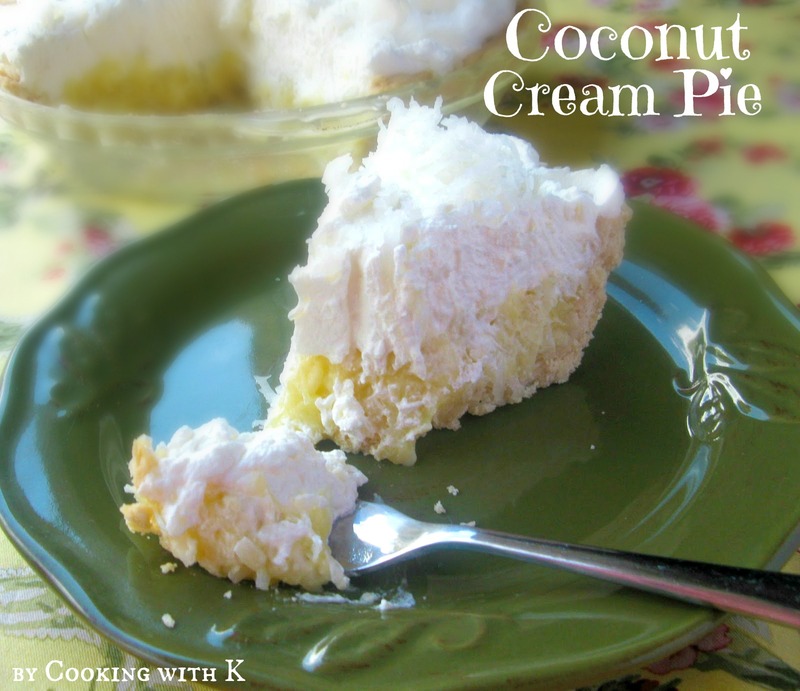 I love coconut cream pie....this recipe sounds wonderful. Kay - this looks like a gorgeous and delectable pie! Love your mom's tips....and all the whipped topping on the cream part of the pie too. YUM! 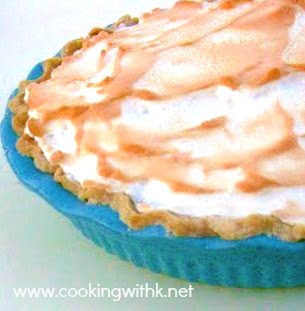 I'm sharing a lightened up coconut pie at my blog tomorrow. Great minds think alike huh? I haven't had this in ages. It looks so good my mouth is watering! 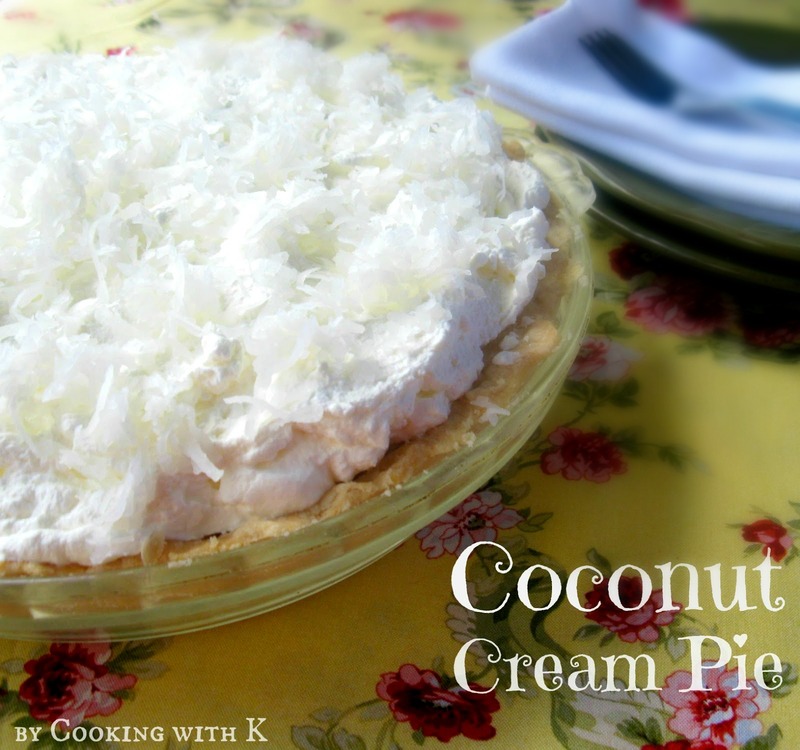 My Dad's favorite pie was Coconut Cream and this sure brings back great memories. 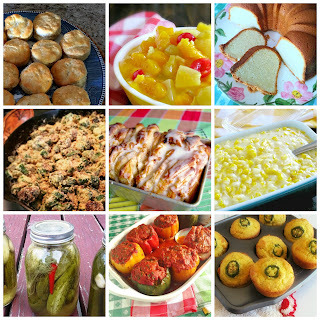 Hope you are having a great weekend and thank you so much for sharing with Full Plate Thursday. I am so sorry the sugar was left off the ingredients :( I have been updating my recipes to Ziplist and must have left it off. Thank you so much for letting me know and I am thrilled it turned out delicious! This is the only way I make my filling now....even when I use my Mother's heirloom recipes :) Again thank you! I just tried this method for making lemon meringue pie filling and it worked! That is awesome...so glad you stopped by to let me know!